This article may be helpful to those who do not know most of the amendments or are not an American citizen. It also addresses the discussion that is currently spreading across the nation. 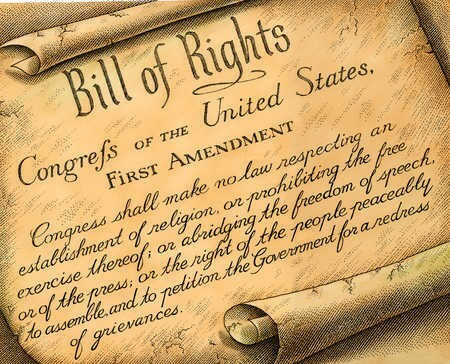 Amendment I (1) protects the civil rights of people in the Unites States, such as religious freedom, free speech, freedom of the press, and the right to petition the government when unsatisfied. 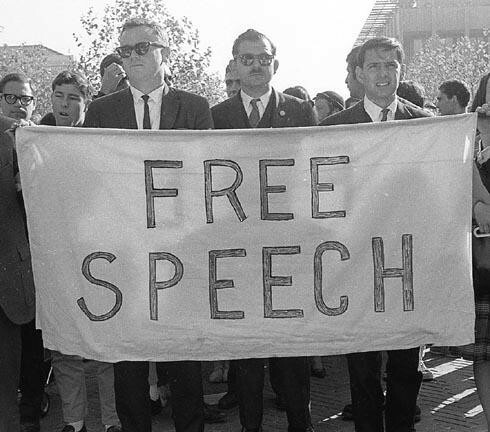 You have freedom of speech, although there are limits to it. You cannot abuse it if it brings harm or insult to others. For example, yelling "FIRE!" in a movie theater just to see what will happen is a violation of your Constitutional rights concerning Amendment I. 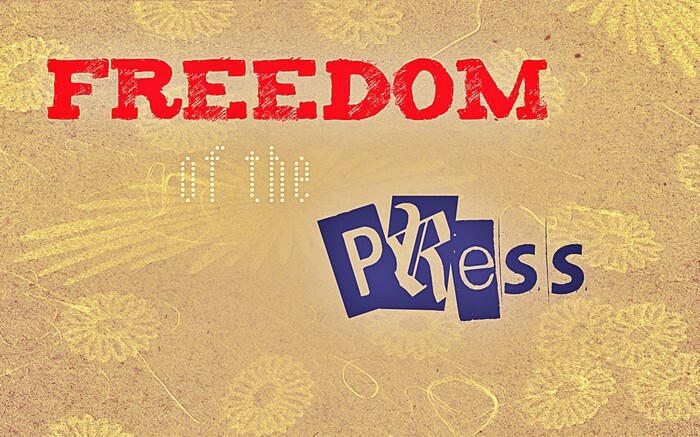 Freedom of the press is when information spread through means such as news channels and newspapers cannot be censored by the government. In other governments around the world (especially communist countries), information is censored before it is spread to the public, contradicting freedom of the press. Believe it or not, there are also limits to the freedom of the press. You cannot spread libel and slander that defames people. 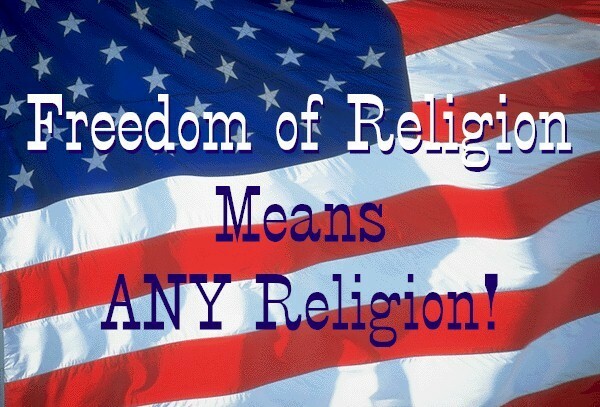 Freedom of religion means that you can practice any religion. You will not be ostracized from society. Some countries make certain religions illegal to practice, arresting and even killing people who practice it. You can be any religion you want. You have freedom of speech, meaning you can say anything you want. The press can say almost anything they want to unless it is defamation of a person's reputation. 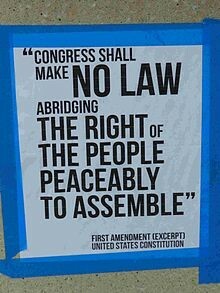 The right to assemble basically means that you have the right to get together and protest, demonstrate against, or go on strike for something that you find unfair, as long as you do not do anything illegal or prevent the movement of other citizens. In other countries, people get shot down because they go against the federal government. 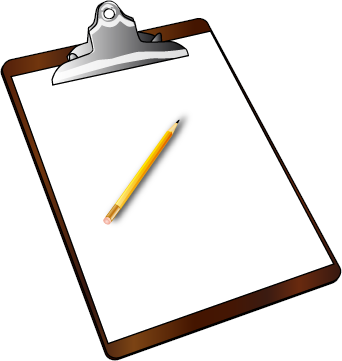 The right to petition means that if you find something unfair in the federal government, you have the right to gather signatures and then send it to the federal government. This includes suing the federal government and other persons, places, or companies. You may form protests with others. You may petition the government if they are not doing their job properly. 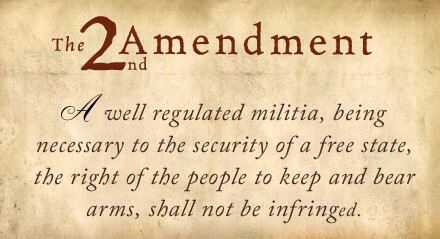 Amendment II (2) upholds the right that citizens of the United States have the right to bear arms within reason. This means that citizens can own guns for the purpose of protecting themselves. However, this issue has caused some controversy within the American public because of the tragedies that have occurred in the past, such as the Aurora Theater (70 people shot or wounded) and Sandy Hook (shot 26 and wounded 2). The argument is that for the guns, we give the American public more guns to supposedly defend themselves, and against the guns, we have gun control or simply take away all guns.